Today, Sony announced that the PlayStation Portable will cease being released in Japan. That's nearly ten years after it was first released. The PlayStation Portable launched in Japan in December 2004 and aimed to take on Nintendo in the handheld space it had dominated for so long. During the PSP's run, the portable won over Japanese players with games from the Monster Hunter and God Eater series, and the handheld would go on to sell over 80 million units worldwide. Even after the PS Vita was released in 2012, the PlayStation Portable remained popular in Japan, bolstered by games like God Eater 2, which was released in fall 2013 on both the PS Vita and the PSP. People still loved the PSP that much! 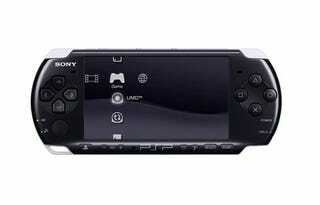 As Dengeki Online reports, Sony will end shipping PSP units in Japan starting this month. The ending of this love affair feels somewhat forced, as if it's a way to migrate players over to the PS Vita. To drive home this point, Sony is running discount trade in campaigns for prospective PS Vita buyers. No word yet how this will impact PSP sales outside of Japan.